Paper marbling is a method of aqueous surface design, which can produce patterns similar to smooth marble or other kinds of stone....Paper marbling is a method of aqueous surface design, which can produce patterns similar to smooth marble or other kinds of stone. The patterns are the result of color floated on either plain water or a viscous solution known as size, and then carefully transferred to an absorbent surface, such as paper or fabric. 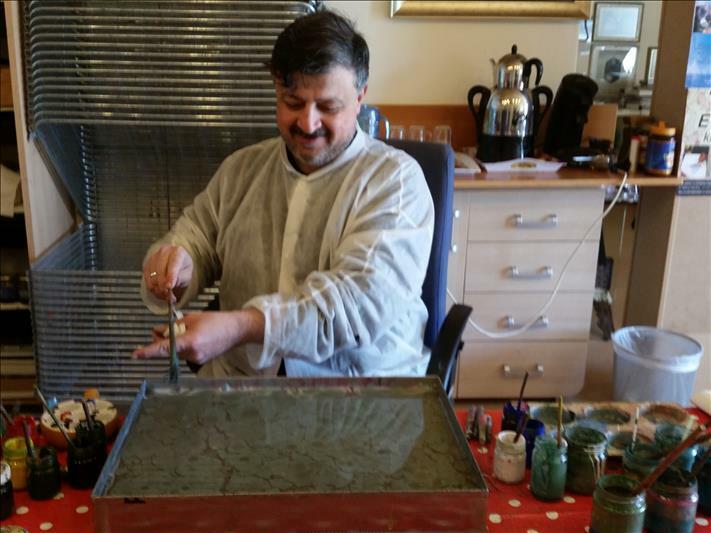 Through several centuries, people have applied marbled materials to a variety of surfaces This workshop is an opportunity to learn this art from a skilled master at his authentic art studio located in Rotterdam.